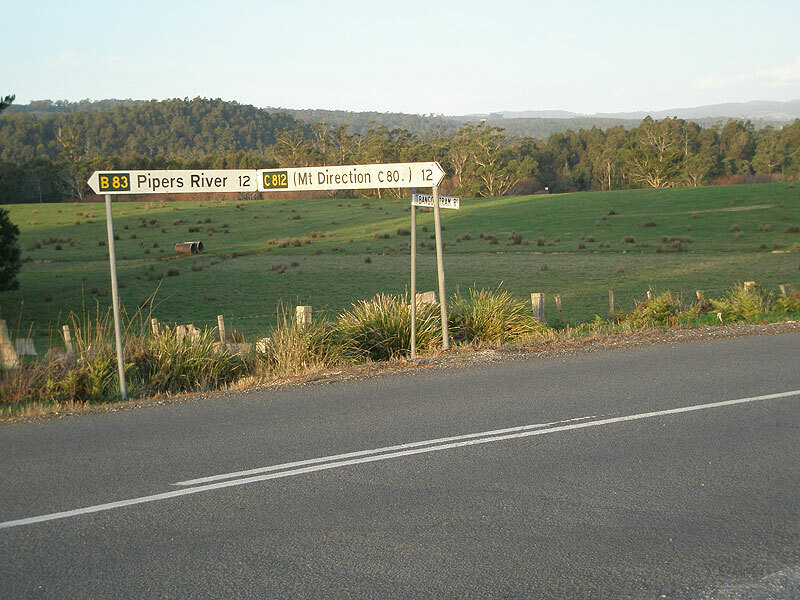 C812 fingerboard sign at the intersection of Pipers River Secondary Rd (B83) & Bangor Tram Rd (C812), Lower Turners Marsh. Source: Peter Renshaw, May 2007. 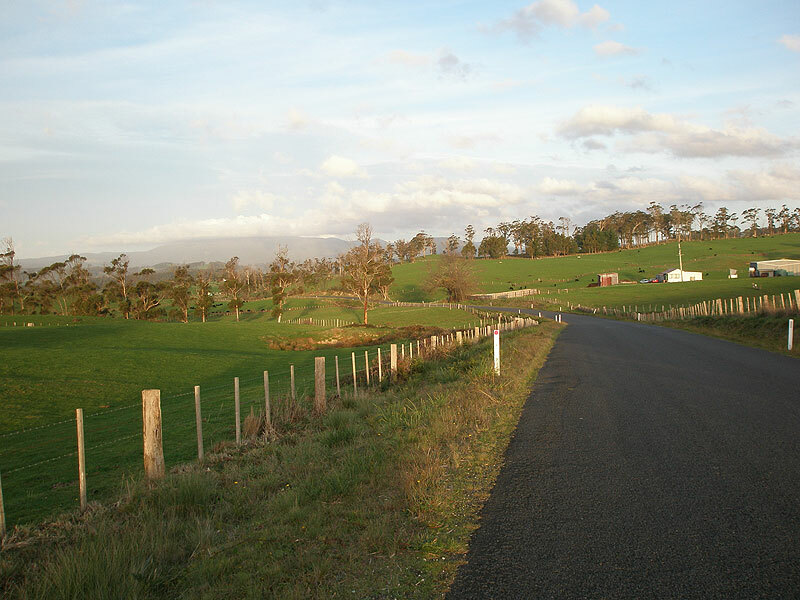 C812 is a sealed east-west route in northern Tasmania, linking Mount Direction with the Pipers River valley at Lower Turners Marsh. 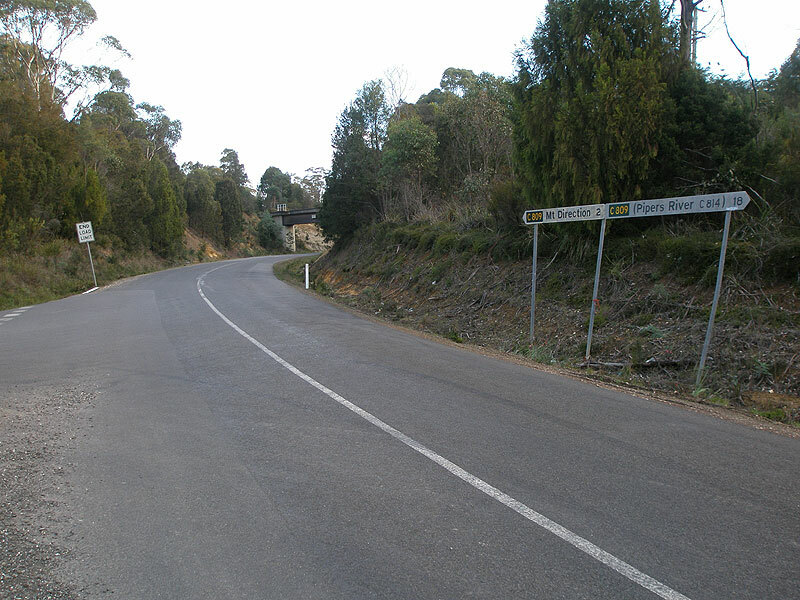 In conjunction with C810 and C811, it forms part of the local east-west connection between Batman Bridge and Lilydale. There is some confusion over the name of the road which it travels - signage at its eastern end suggests the name Bangor Tram Rd, whilst signage at its western end suggests the name Old Bangor Tram Rd. The most recent topographic map of the area also suggests Old Bangor Tram Rd, whilst the former Department of Transport's Road Direction Signing: Route Descriptions and Focal Destinations document (1992) suggests just Bangor Tram Rd. It is only signposted at the eastern (B83) end - the intersection with Dalrymple Rd (C809) being devoid of any fingerboard signage - making it a one-hit wonder. 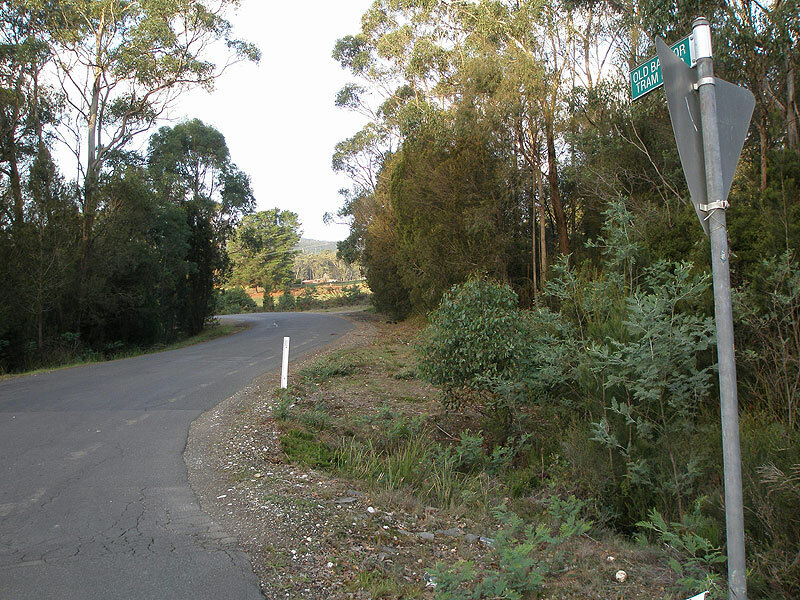 Dalrymple Rd (C809) looking south at the intersection with Old Bangor Tram Rd (C812), 2km north of Mt Direction. There are no C812 fingerboards at this intersection. Old Bangor Tram Rd (C812) looking east from the intersection with Dalrymple Rd (C809). Note that the road name blade suggests that the road is actually called Old Bangor Tram Rd. Old Bangor Tram Rd (C812) looking east approximately 2km east of Dalrymple Rd (C809). 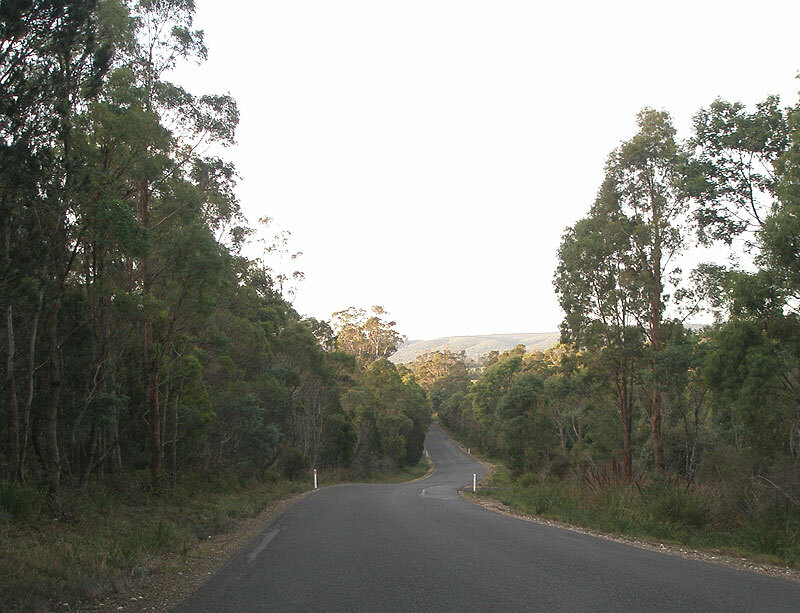 Old Bangor Tram Rd (C812) looking east approximately 1.5km from the Pipers River Secondary Rd (B83) junction at Lower Turners Marsh. 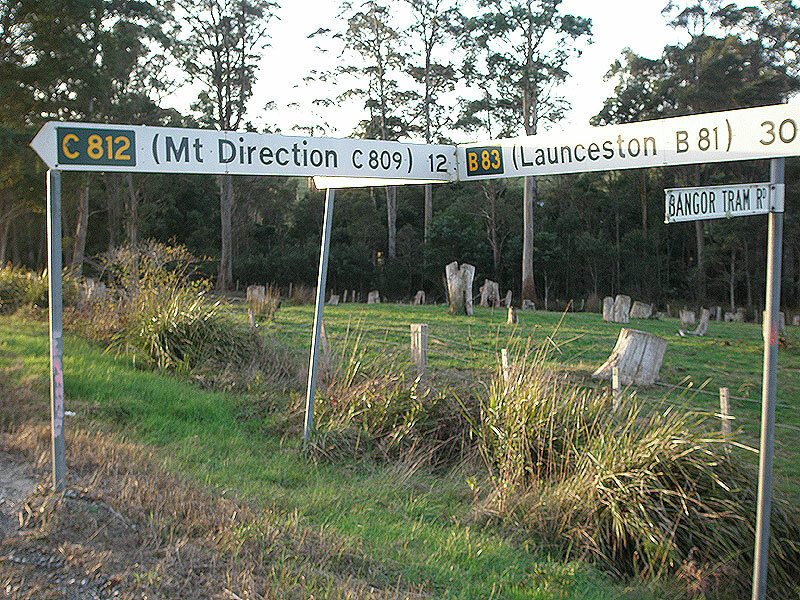 Fingerboard signs at the intersection of Pipers River Secondary Rd (B83) & Old Bangor Tram Rd (C812), Lower Turners Marsh.